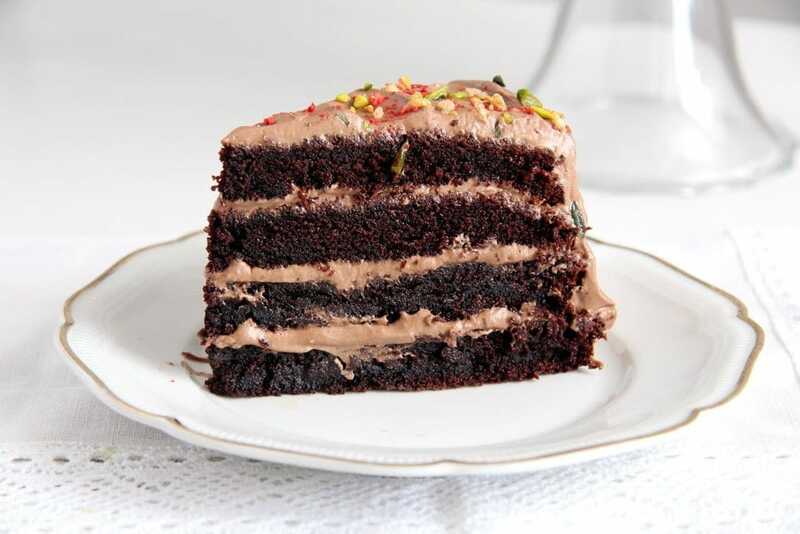 Ron Weasley’s chocolate gateau mentioned in Harry Potter and the Half-Blood Prince, a sinfully delicious chocolate cake layered with a chocolate-double cream filling. If you are a Potterhead like I am then you just have to see the new film. It has nothing to do with Harry but it is still so great to be able to sink into this magical world again after such a long time. I loved every minute of the film, my children were delighted, all they were talking about on the way home was about buying the DVD the minute it’s available so that they can watch the film again. I actually wouldn’t mind going to the cinema again, so that I can see the film in 3D again, it was amazing. 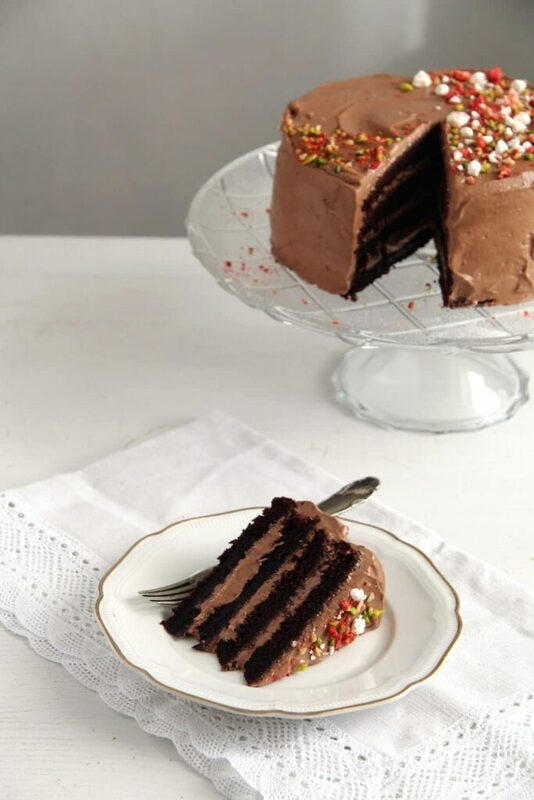 What can I tell you about this chocolate cake? It is my favorite chocolate cake. I have been making this for at least 5 years now, not only for us, but most of the time for other people. I have two families, who have been ordering this cake for every family celebration they have for the past 4 or 5 years now, so I am making this cake about 7 or 8 times every year, there is no other cake that I get to bake so often. I don’t even have to check the recipe anymore, it is the only cake recipe I know by heart. 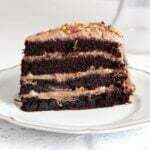 I found the recipe for the cake somewhere on the Internet, but it is such a long time ago, I really don’t remember where, I would be happy to give a source if I knew one. The chocolate filling recipe was given to me by my mother-in-law, she used to make this filling for the chocolate cakes they used to sell in the bakery/confectionery they used to have when my husband’s father was still alive. The cake looks really impressive, one would think you’d have to spend a lot of time in the kitchen and use some fancy ingredients to make it, but don’t worry, making this particular cake is a “piece of cake”, everything is stirred in no time and the filling must be one of the easiest I know. And the taste is just amazing: chocolate, chocolate, chocolate, a dense moist cake sandwiched with this wonderful, luscious chocolate cream. My interpretation of the chocolate gateau Ron Weasley stuffs his face with at the start-of-term feast in the 6th book of the series. Start one day in advance by making the filling. Chop the chocolate very finely. Pour the double cream into a small pot, carefully bring to a boil, take off the heat and give the chocolate to the cream. Stir slowly until the chocolate has melted. 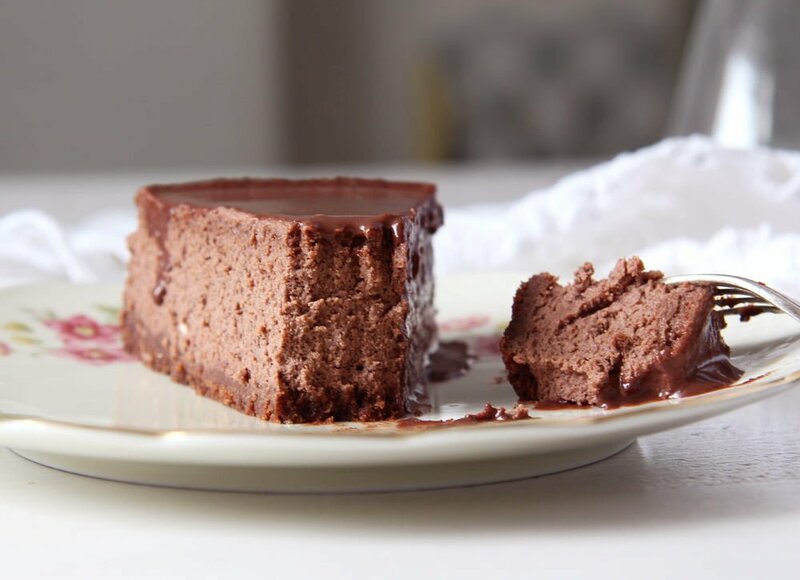 Place a piece of plastic foil directly over the chocolate cream (so that it doesn't form a “skin”), let the mixture get cold, then place it in the fridge until the next day. You could bake the cakes one day in advance as well. Let them get cold and then wrap them in cling film to prevent them from drying out. To make the cake start by preheating the oven to 180 degrees Celsius/ 360 degrees Fahrenheit. Ligthly butter and flour 2 springforms or cake pans of 20 cm/ 8 inch diameter. Brew one cup of strong coffee. In a large bowl mix and sift the flour, sugar, cocoa powder, baking soda, baking powder and salt. Combine the buttermilk, oil, eggs and vanilla extract preferably in a jug or in another bowl. Pour this mixture, slowly, over the dry ingredients whisking with an electric mixer at very low speed. Add the hot coffee and stir with a spatula very shortly until the ingredients are just combined. Make sure to scrape the bottom of the bowl as well in the process. Divide the mixture into two equal parts (I use the scale to make sure I divide the mixture evenly) and pour into the two prepared forms. Bake for about 40-45 minutes until a toothpick inserted in the middle of the cake comes out rather clean, it can still be a bit wet, but it should not be covered in chocolate. Let cool in the pan for a while, than transfer the cakes to wire racks to cool completely. When the cakes are cold, cut each one into two equal slices. 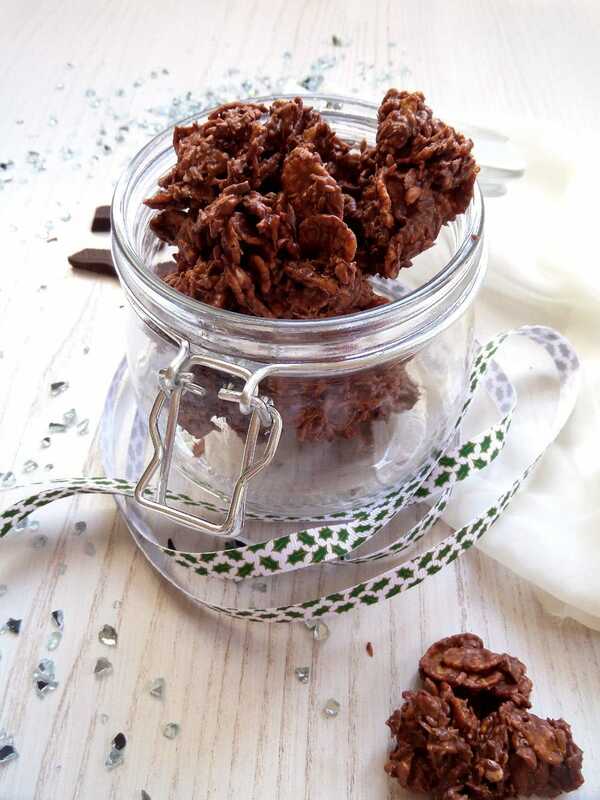 Beat the chocolate-double cream mixture while slowly adding the cream stabilizer until stiff. Place one cake layer on a cake platter. Evenly spread 2-3 tablespoons of the chocolate cream on top of it, place the second cake layer on top and continue in this manner. Cover the cake with the remaining chocolate cream. Note: For a genuine taste I recommend using German/European style chocolate (Milka, Cadbury, Belgian or Swiss chocolate), I have heard that the American chocolate tastes very differently. Happy anniversary! Sounds like a fun day. I love Harry Potter, chocolate cake, and any reason to celebrate with chocolate cake. This looks divine and I can see why it’s a favorite! It looks beautiful! Happy Anniversary! This is a chocolate lover’s dream come true and so beautiful! I can see why you have lots of requests for it! Happy Anniversary, Adina! What a lovely cake to celebrate! I am not a porterhead fan but my daughter is. She went to watch the first show of this new movie with her friends. 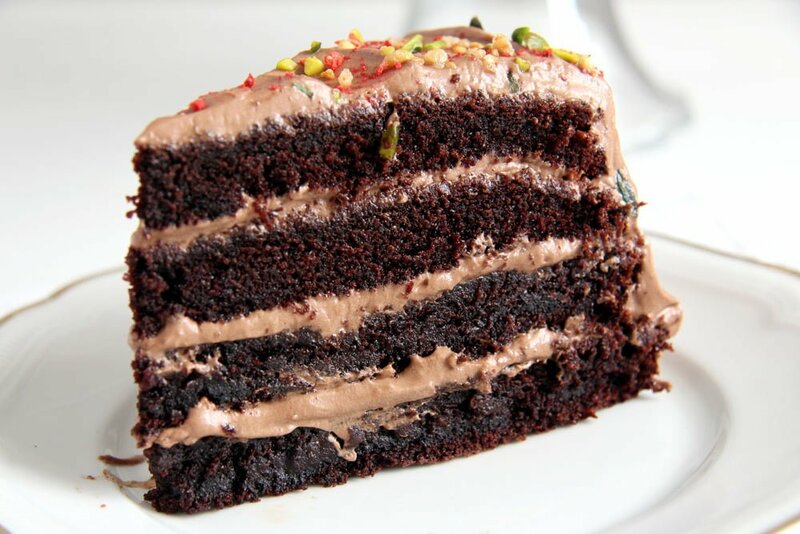 Wowww …todo con chocolate me encanta,que delicia es una gran torta,gracias por su comentario la espero siempre,abrazos. That’s so funny that you dreamed about this cake before making it. Now I’ll be dreaming about it. 🙂 What an OMG cake!!!! Death by chocolate for sure. So lovely. Adina, we are Potter fans at my house, too. We haven’t seen the movie yet, but it is on our list of things to do this weekend, along with putting up the Christmas tree and cleaning house in anticipation of my folks flying out to visit. I think Ron’s cake looks simply amazing and I bet it tastes amazing, too. 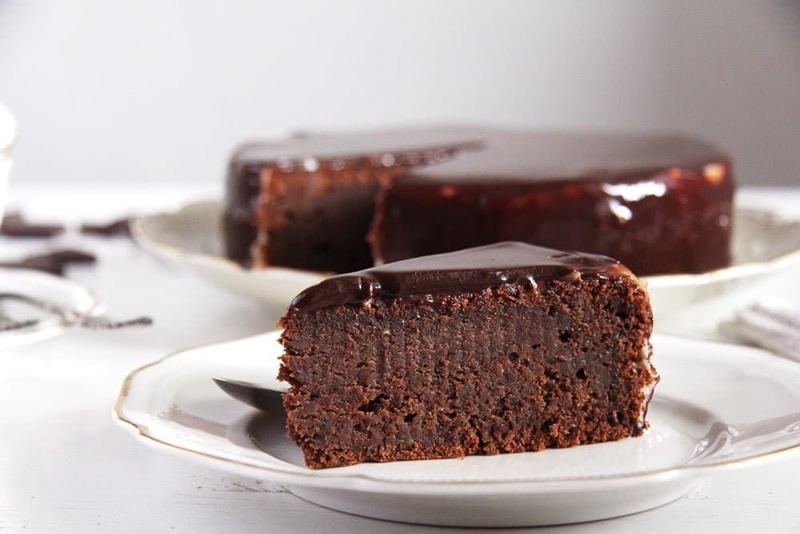 I love the addition of the coffee to enhance the chocolate flavor and the buttermilk to balance the sweet and give the cake moisture and a bit of a lift. Outstanding. Looks delicious! Can you tell me what size cake tins you used? Hi Cheryl. Two springforms of 20 cm/8 inch diameter. 1) I have the sugar in everything I bake eg cookies and was thinking of cutting this to 300g, do you think it would be ok? 2) can I substitute the baking powder w baking soda (and vice versa) and how should it be done? 3) do you bake both cakes at the same time? our oven isn’t very big and I don’t think it can fit two 8 inch cake tins at the same time 🙁 is stacking possible? 1. You can reduce the sugar quantity a little, but normally sticking to the required quantities when baking is always best. Unlike cooking, baking is almost chemistry and requires precission, if you change the quantities and the ingredients, the result will not be as expected. 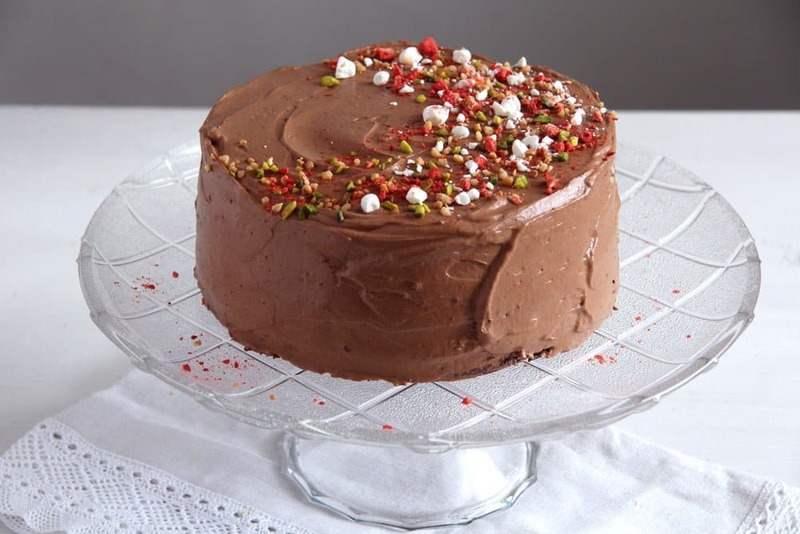 However, in the case of this cake, I had used less sugar the first times I have made it and although I find the texture of the cake better when the whole quantity of sugar is used, the reduced sugar version was ok as well. If you are worrying that the cake is too sweet, don’t, for some reason, although there is so much sugar in it, the cake is not overly sweet. Must be all the bitter chocolate and the coffee. 2. No, you can definitely NOT substitute baking powder for baking soda, they have different effect on the cake. 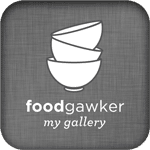 Use always as required by this or any other future recipe. 3. I bake the cakes together because I have a convection oven. I put two racks in the oven and place each cake pan on a rack. If you don’t have a convection/hot air oven and the cake pans don’t fit together one next to the other (not stacked) in the regular oven, then it is better to split the recipe and mix the batter twice. 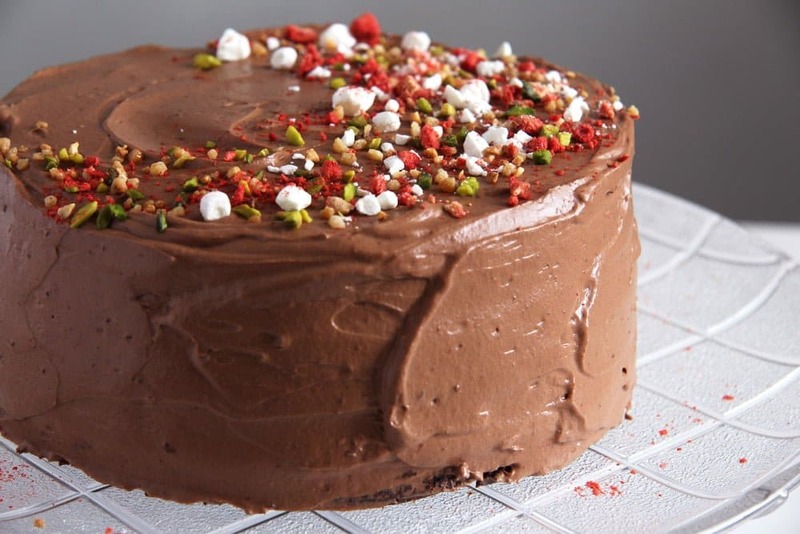 If one cake waits so long to be baked, it will not rise anymore in the oven, so it is better to only make the batter just before you can put the cake in the oven. Hello there. I just baked this recipe and it’s divine. I would like to know if I can bake it in a bundt pan, considering the thickness of the pan. Will the consistency stay without breaking or getting burnt. I ask this because my friend’s birthday is next month and I will like to bake something really special for her. Hi Ebi. I am so glad you liked the chocolate cake, we love it too and I make it so often. However, I have never baked it in a bundt pan, so I cannot say for sure how that will turn out. Theoratically, it should work. If you notice that the top of the cake gets too dark before the inside of the cake is baked, cover the top very loosely with some aluminum foil, just place the piece of aluminum foil on top of the form without pressing it down or anything. 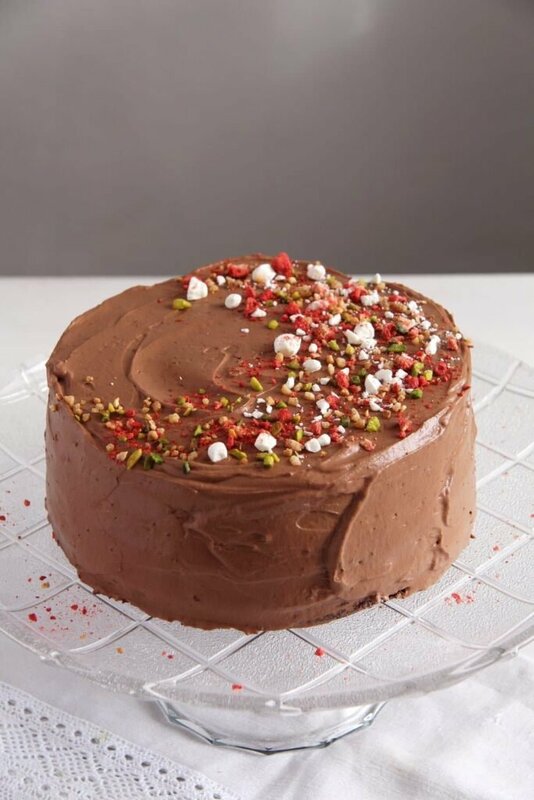 Hi Adina, now currently making this cake for my dad’s birthday tomorrow, this is my first time making it ( hoping it goes right first time as won’t have any more ingredients). Slightly concerned that when I asked for cream stabilizer in the supermarket no one knew what it was so I googled it and said the next best thing is gelatine. Would this be ok to use because the last thing I want to do is muck it up because I added the wrong thing. Many thanks. Hi Tanya. No, that is not gelatine, gelatine would not do well here. Either leave it out, but in this case the heavy cream will be softer, less stable. Or mix 1 tablespoon cornstarch with one tablespoon icing sugar together. Use this mixture exactly as the stabilizer, which is beat the cream shortly and very slowly start adding the cornstarch mixture while mixing all the time.